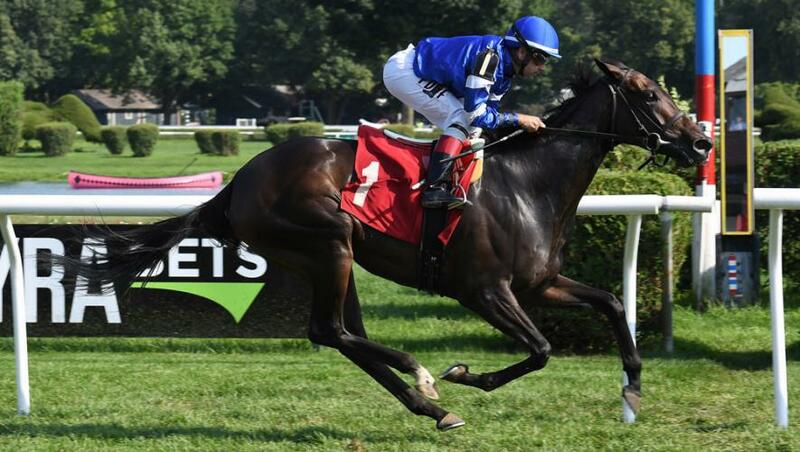 Lady Montdore finished third on her G1 debut in the Flower Bowl Stakes over a mile and a quarter on turf at Belmont Park, USA on Sunday, 7 October. The four-year-old Medaglia d’Oro filly, successful on her previous two starts in North America, was held up by Manny Franco after breaking well on the inside. She disputed third and then was a close fourth and fifth before making progress on the turn for home. Lady Montdore went third at the top of the straight and kept on in that position to the line, finishing six and three quarter lengths behind the winner Fourstar Crook, but four and a half lengths ahead of the fourth Danceland. The winning time was 2m 3.28s on turf described as good. Trainer Tom Albertrani commented: “Lady Montdore may have been compromised by racing on the inside as a slow pace was set. “However, she still ran well and you have to remember that she has made great progress this year from winning an allowance and then taking the G2 Glens Falls Stakes before finishing third in this G1.